Republican presidential candidate Ted Cruz released a tax overhaul plan last fall that drew sharply split reviews for its radical proposal to establish a 10% flat tax on individual income and replace the corporate income tax with a 16% value-added tax. But what almost no one has discussed is the fundamental change Cruz's plan would make in Medicare financing. The Texas senator's proposal would abolish the payroll taxes that fund the Part A hospital trust fund as well as Social Security. The 2.9% payroll tax for Medicare Part A, the 0.9% additional Medicare tax on higher-income workers that helps fund the Affordable Care Act, and the 12.4% tax for Social Security would be history if a President Cruz got his way. Cruz's campaign website claims the plan “will lift Americans out of the current economic stagnation and into an historic boom” by boosting gross domestic product by 13.9% above projections, increasing wages by 12.2%, and creating 4.9 million additional jobs. Some independent economists agree it would have a stimulative effect. The senator, who's making a strong challenge to Donald Trump for the Republican nomination, claims his plan would cut federal revenues by $3.6 trillion over the next decade. Other independent analyses, however, peg the revenue losses much higher. The Urban-Brookings Tax Policy Center estimates that his proposal would slash federal revenue by $8.6 trillion—3.6% of GDP—over the first decade, with the biggest loss stemming from repealing payroll taxes. 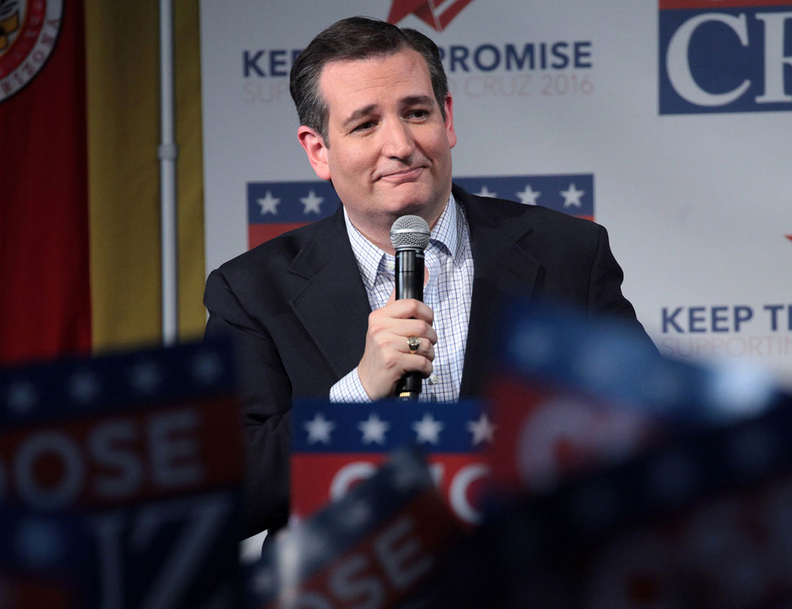 The center projects that Cruz's new VAT would offset only 70% of the cost of the tax cuts. Why does this specifically matter to the healthcare industry and Medicare beneficiaries? If you wipe out payroll tax revenues of $12.2 trillion over the first 20 years, as the Tax Policy Center projects, there are big questions about how you replace that funding for the Medicare hospital trust fund, let alone for the Social Security trust fund. “Without some clarity, the future of Social Security and Medicare Part A is fundamentally in doubt,” Douglas Holtz-Eakin, a former director of the Congressional Budget Office who served as chief economic policy adviser to Sen. John McCain's 2008 presidential campaign, said in an interview. Cruz's website says he would “(maintain) full funding for Social Security and Medicare” even while abolishing the payroll tax funding mechanism for the two popular social insurance programs. Modern Healthcare tried to ask that question, but the Cruz campaign did not respond to requests for comment Tuesday. To solve that problem, a President Cruz could take general revenues from his new 10% flat tax and VAT and put that money into the Medicare hospital trust fund. But he would be facing such a large budget deficit as a result of his tax plan that he would need to make big spending cuts—and Medicare would be a prime target, said Holtz-Eakin, who's now president of the conservative American Action Forum. What might well happen is that Medicare Part A funding would be left to the tender mercies of the annual congressional appropriations process, turning Medicare into a discretionary rather than a mandatory spending program. Then the hospital trust fund would be in a situation similar to that of the federal highway trust fund, which goes through fierce annual congressional battles. What would be strange about that scenario, however, is that only the Medicare hospital funding stream would be whipsawed politically each year, while Medicare Parts B, C, and D would continue have their own separate funding. “That would be hard to sustain,” Holtz-Eakin said. David Cutler, a Harvard University economics professor who served in the Clinton administration and was a senior healthcare adviser to President Barack Obama's campaign, said Cruz will have to explain his proposal more clearly. "As a matter of arithmetic, lower taxes implies fewer services that people receive, or a massive increase in the federal deficit," he said. "Sen. Cruz should explain which of these he prefers."